Regular grooming sessions will not only help your dog look their best, but it will also leave your furry friend feeling clean and healthy. While most dog owners prefer taking their pets off to a professional groomer, grooming your pet at home can help you save a lot of money. Bristle Brushes: Bristle brushes are among the most common types of brushes and can be used for a variety of coat types. These brushes may vary depending on the length of the bristles and spacing in between. Wide spaced bristle brushes are more for suitable dogs with longer coats and allow easy detangling. Additionally, coarser hair requires for stiffer bristles. Slicker Brushes: These brushes are commonly used on cats and dogs and are primarily designed to get rid of rid of mats, knots, loose hair and debris. Slicker brushes are typically rectangular and have fine wire bristles that are tightly packed together. Use this brush to get rid of tangles effectively. Wire-Pin Brush: Regularly brushing your dog’s coat helps distribute natural oils, resulting in a shiny and healthy coat. This is the ideal type of brush if your dog has medium or long hair. You can get Wire-pin brushes with or without ends that are rubber-tipped and are a preferred choice for dogs with curly or wooly hair. If left untrimmed for long periods of time, your dog’s nails can start to curl under into the paw pads, resulting in serious joint damage. Scissor Clippers: As the name indicates, these clippers work like regular scissors and are best suited for larger dog breeds with thicker nails. Also known as Miller Forge Trimmers, these nail clippers offer extra force needed to trim thicker nails and are quite simple to use. Guillotine Clippers: Guillotine Clippers are best suited for small to medium sized dogs. Simply stick your dog’s nail into the hole and press. The blade will gently slice the end of the nail, resulting in a clean finish. 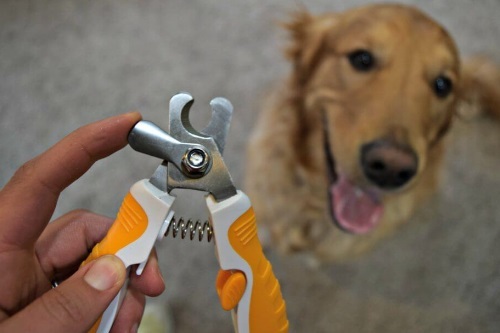 Grinder Tools: If you are not comfortable with clipping your dog’s nails, you can opt for a grinder tool instead. This tool works by grinding down the nail instead of slicing it off, reducing the risks of injury. Grinder tools are best suited for larger dog breeds with thick nails and pets that do not like having their nails trimmed. However, it might take a while for your pet to get accustomed to the vibrating sensation of the device. It should also be noted this process takes longer than clipping the nails, so you will have to be patient. You may be forced to share your bed and living space with your furry friend but there’s one thing you should keep to yourself, and t﻿﻿hat is your shampoo. Understand that a dog’s fur coat is much different than a human hair. The human shampoo contains numerous chemicals that might be too harsh for your dog’s sensitive skin, hence choose the right dog shampoo after examining your canine companion’s fur coat. Moisturizing shampoos are best suited for dogs that have flaky and dry skin. On the other hand, you should avoid using scented shampoos if your dog has sensitive skin and is prone to allergies. 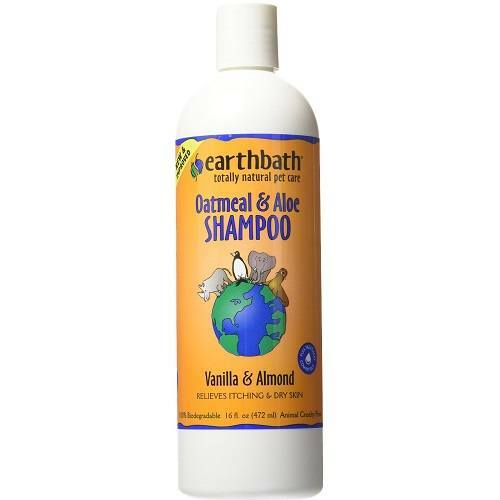 Be on the lookout for shampoos with natural ingredients, such as honey, vitamin E, and oatmeal. Consult your local vet if your dog persistently suffers from skin conditions and allergic reactions. Consider investing in fle﻿﻿a and tick shampoos to fend off ticks and other external parasites living on your dog’s fur coat. However, these shampoos only offer short-term protection. Hence it is best you read up on different ways to get rid of fleas and other parasites. Is your furry friend prone to ear infections? Well, perhaps you should consider investing in a quality ear cleaning solution. Be sure to inspect your dog’s ears on a regular basis and use a cotton ball to clean the outer ear. Spending too much time outdoors may cause foreign bodies, such as grass, seeds and plant awns to find their way inside your dog’s ears. Do your best to gently remove these foreign objects or else take your dog to a professional vet. Any signs of yeast or bacterial infection should receive immediate attention from a vet. 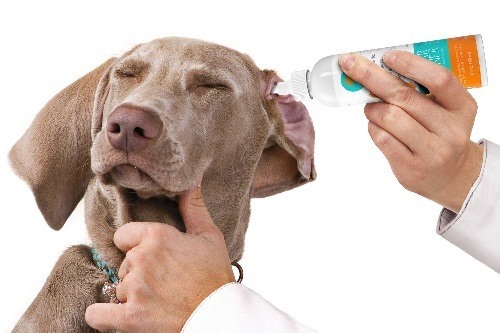 Apart from investing in commercial ear-cleaning solutions, dedicated pet owners can consider making their homemade version. Simply mix equal parts of alcohol and vinegar to make a quick and easy solution. Consider asking your vet for a recommendation if your dog frequently suffers from ear infections and have their ears checked regularly. 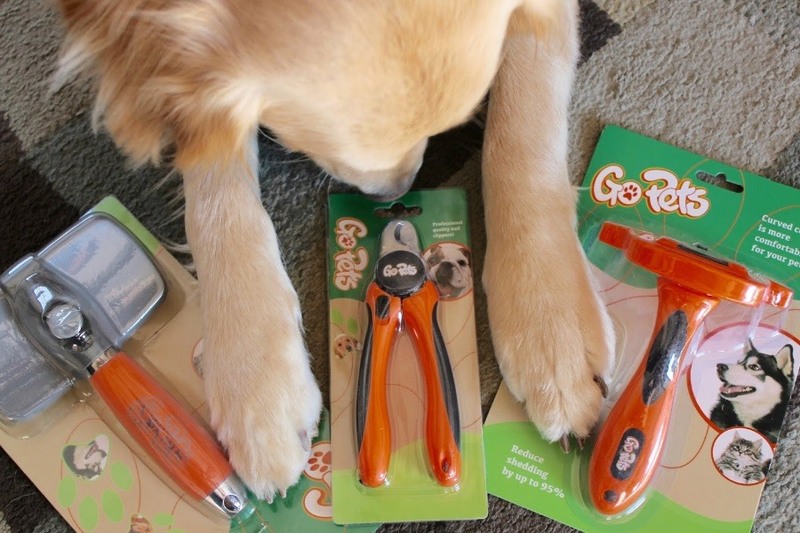 These are just a few basic grooming tools every dog owner should have. Investing in these simple tools will help you save money on professional dog grooming sessions. Talk to an expert if your dog has special needs or suffers from an allergy. Your vet can help you pick out specific tools according to your dog’s condition. Good luck!